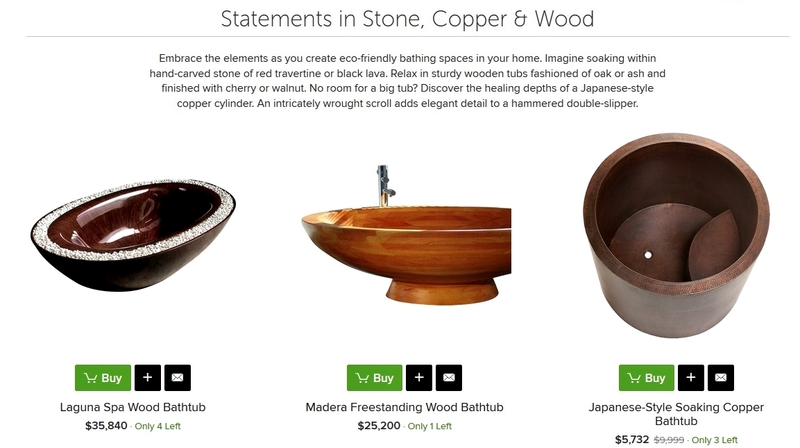 In today’s post, here’s a deeper glance within the home décor wing of my portfolio. 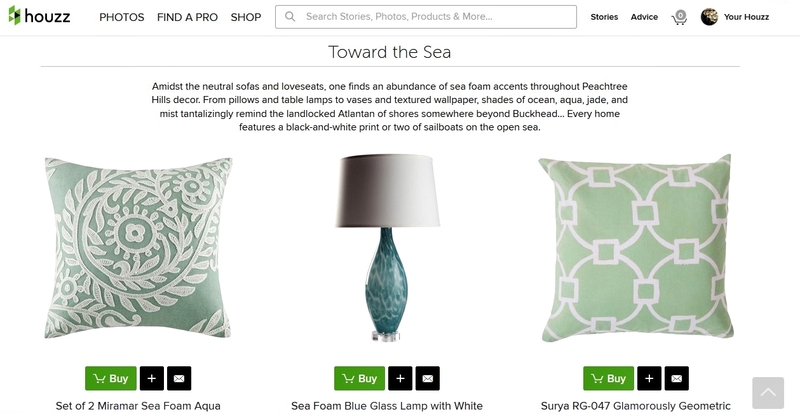 If you adore sea foam throw pillows on neutral linens, make yourself comfy and read on. A well-known furniture & design portal asked me to curate a living room “ideabook,” and I leapt at the chance to showcase the aesthetic of Peachtree Hills – a favorite neighborhood in Atlanta. The challenge was to evoke the work of several designers and antique collectors, without actually alighting on any of them by name. And the neighborhood – home to ADAC and the Galleries of Peachtree Hills – nearly overflows with gorgeous showrooms. Among these, I’m especially partial to Max & Company and to the extraordinary collection of 19th-century Swedish clocks at Tyner Antiques. On with my scintillating copy samples, however: click the screenshots for a closer look. I christened this concept “Peachtree Hills Fantasy,” and my subtitle for it appears in our next screenshot. Below that are the copy blocks and featured images for the two sections arranged before and after “Toward the Sea” (which, by the way, I named for a marvelous piece of music by Takemitsu). All done with taxes? Here’s what might relax us! In the soak or be soaked world of marketplace Internet retail, one must gallantly strive to pen transcendent Copy that an upscale consumer’s senses positively cry out for. Let them know the good news: Hot baths in deep soaking tubs can calm your mind, stimulate your collagen, and make that humblest of havens – the lavatory – into a showplace! Here, I created the concept; curated products; and wrote pithy headlines as well as those sublimely sophisticated copy blocks. 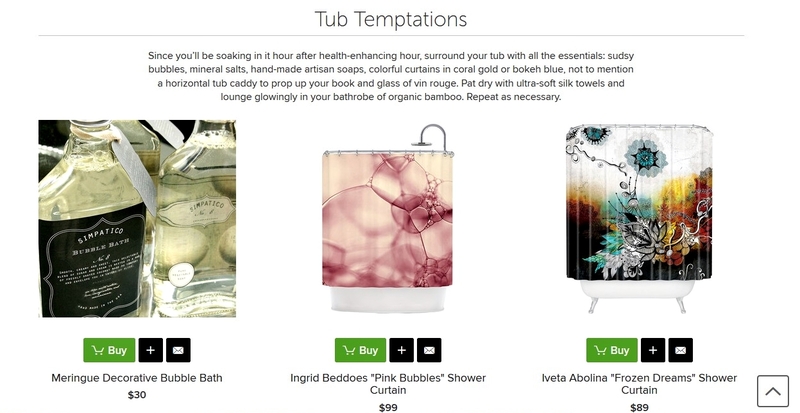 Transform your lav into an in-home Spa: Click the pretty pictures for a closer read.